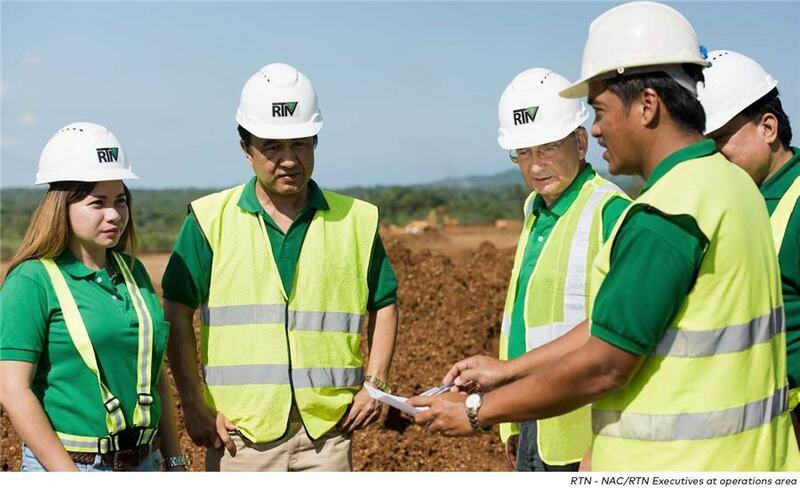 Nickel Asia Corp, the Philippines' top nickel ore producer, expects its 2019 shipments to be unchanged from last year, although it plans to increase its domestic sales to maximise profits, its chief financial officer told Reuters. Nickel Asia accounts for about half of the nickel ore output in the world's second-biggest supplier of the metal. Its ores are exported to customers in China and Japan, who process them to make stainless steel and for use in battery materials. Top nickel producer Indonesia, though, has been ramping up shipments to China after lifting a ban on metal exports in 2017, with Chinese buyers preferring the higher-grade Indonesian ore, said Nickel Asia Senior Vice President and CFO Emmanuel Samson. To counter market share lost in China, Nickel Asia will increase shipments to two Philippine smelters it partly owns, at Coral Bay and Taganito. The plants buy ore linked to London Metal Exchange (LME) prices, Samson said, with their output then sent to Japan for further processing into "Class 1" nickel. "As long as Indonesia continues to export ore to China, it's going to be a very challenging period for Philippine miners," Samson said in a phone interview on Monday. Nickel ore sales for this year will be about the same as the 19.3 million wet tonnes sold in 2018, which were up from 17.7 million wet tonnes sold in 2017, he said. The company, which operates four of the nation's 30 nickel mines, posted a 9-percent gain in net income last year to 3.01 billion Philippine pesos ($57.1 million), from 2.77 billion the year before, thanks largely to higher LME prices. Nickel Asia in 2018 benefited from an average LME nickel price of $5.95 per pound on sales to the two domestic processing plants, compared with an average price of $4.67 in 2017. On the other hand, shipments of unprocessed ore slurry to China last year accounted for 60 percent of the company's total sales at 11.54 million wet tonnes, up from 9.64 million in 2017, although the average price fell to $21.53 per wet tonne from the previous year's $24.42, he said. "There's a lot of supply now that's coming from Indonesia going into China for stainless steel," Samson said. "That part of the business is going to be more or less flat in terms of prices (this year)." LME nickel-linked deliveries last year to the two Philippine processing plants accounted for 40 percent of the sales, or 7.81 million wet tonnes, down from 8.06 million wet tonnes in 2017. "The one that is exciting is the LME side of the business," Samson said. "Why? Because of the battery story, which is linked to LME nickel." Global metal producers expect a surge in demand in the coming years for nickel for use in electric vehicle batteries. To benefit from higher LME prices, Samson said Nickel Asia would likely boost its LME-linked domestic business to 45-50 percent, while exports to China would be cut to 50-55 percent. Nickel Asia is the only Philippine nickel miner with ownership in processing plants, making it "unique" compared with other local miners, who sell all their unprocessed ore output to Chinese stainless steel producers, Samson said. Nickel Asia's fifth mine, the Dinapigue project in Isabela province in northern Philippines – acquired in 2015 – is still undergoing exploration and development work, he said. "We're hoping that next year or by 2021, we can start shipments," he said, without giving any volume estimates.